Breakfast is the most important meal of the day! 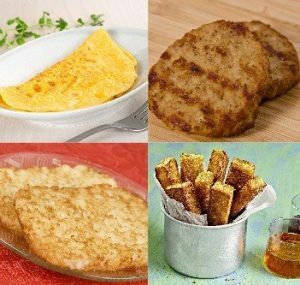 Be sure to check out our cheese omelets, sausage rounds, french toast sticks, and hash brown patties.These quick and delicious items are perfect when you’re short on time but still want a hot breakfast! ← Hosting a holiday party?